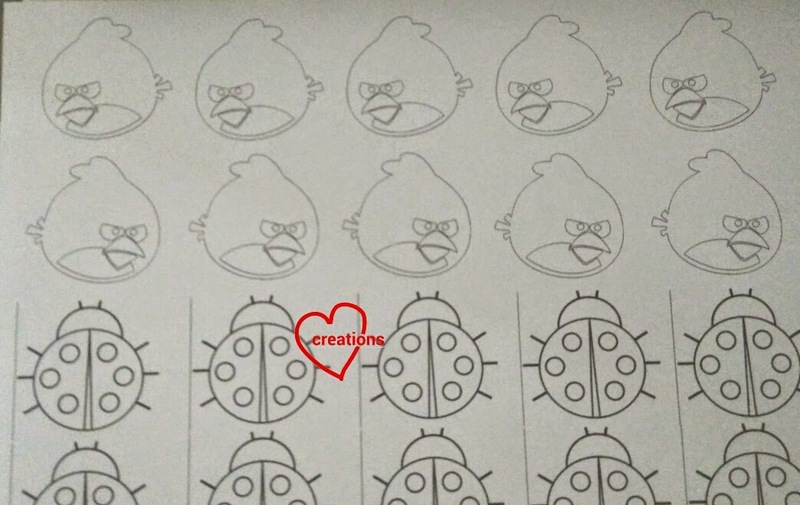 Red Angry Bird and ladybug! I portioned out a bit of the red batter (about 2 tbs) and added charcoal powder (1/3 tsp) to create the black batter. A 5-6 mm tip was used for piping the rounds and a 3mm tip was used to pipe the finer features. 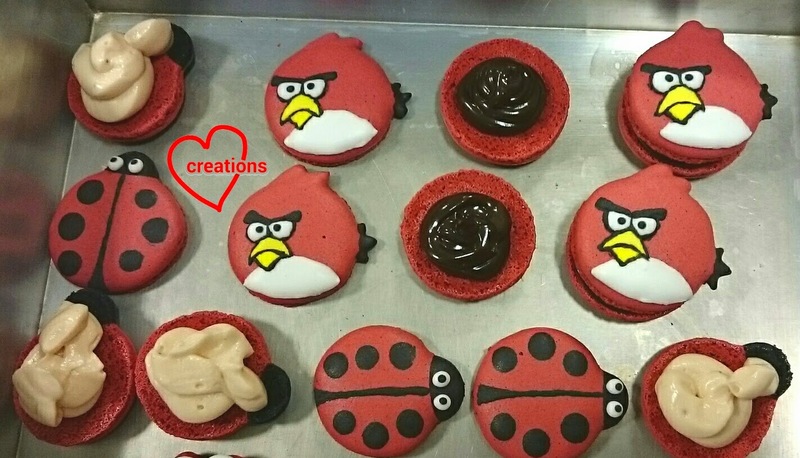 Angry bird's tail was painted on using a toothpick as it's too fine to be piped. 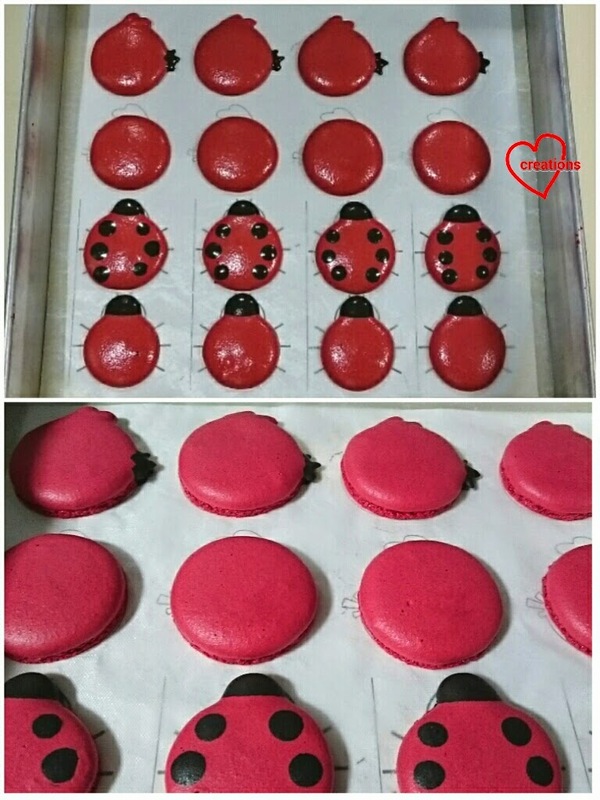 Before and after baking the shells. 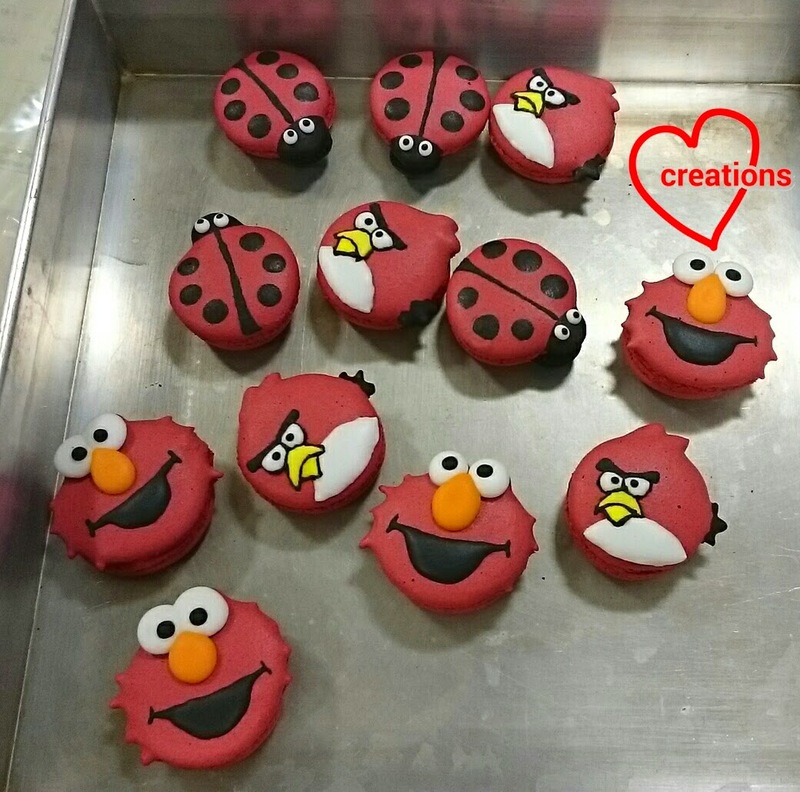 Freshly iced with royal icing along with extra Elmos! 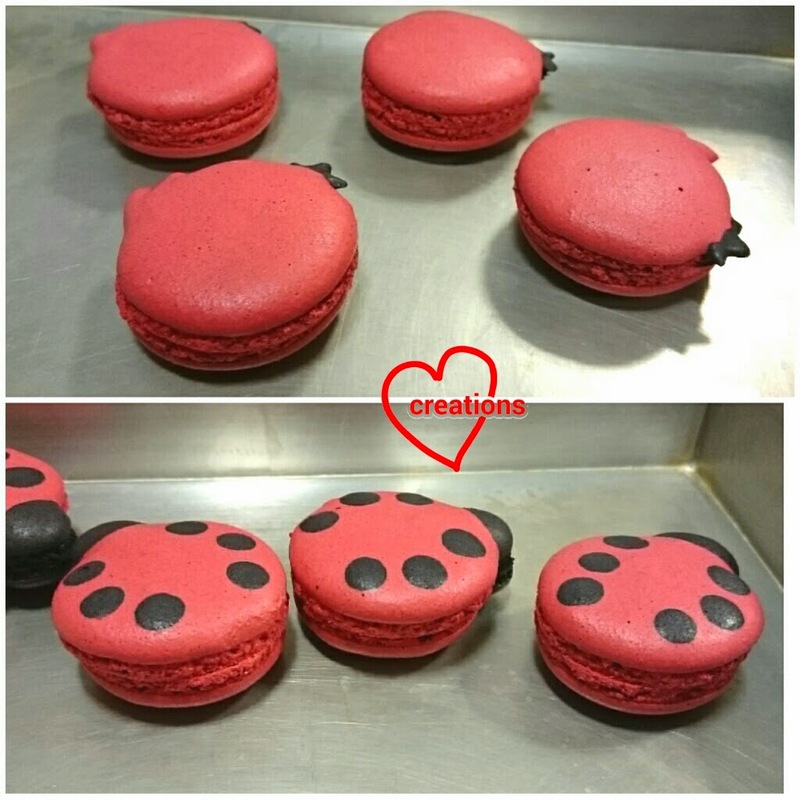 Filling with chocolate ganache and strawberry swiss meringue buttercream! 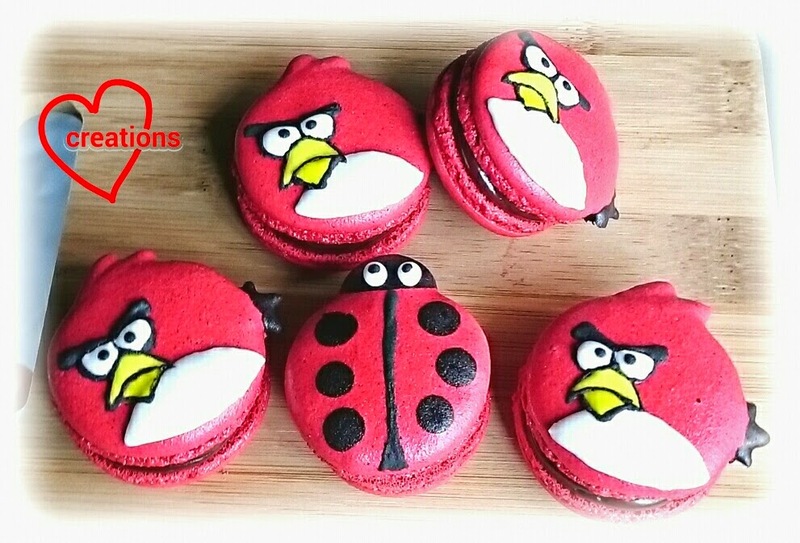 A friend's kids and my kids got to enjoy these extra macarons!